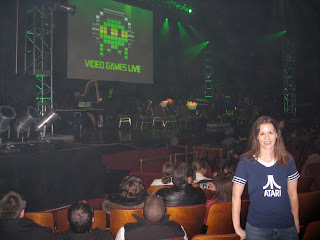 You may remember my excitement last month at securing tickets to Video Games Live. The show was this past Saturday, and... um, how do I put this? Let's just say that it was quite a unique experience. Although my husband proclaimed the crowd at the Chicago Theater that night to be "the single biggest gathering of nerds" he'd ever witnessed, even he still had fun. If you have a fondness for video games -- regardless of whether or not you've played any in recent years (I haven't) -- I guarantee that you would get a kick out of this show. At least I recognized Link and Princess Zelda! 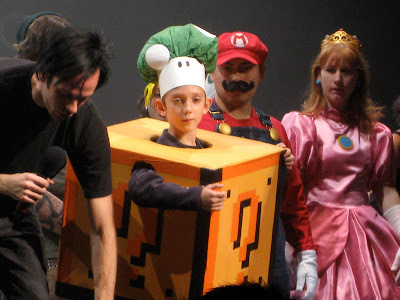 But EVERYONE not only recognized but also loved the young "Power-Up," who easily won the contest (judged by audience applause) as a defeated Mario and Princess Peach Toadstool looked on. 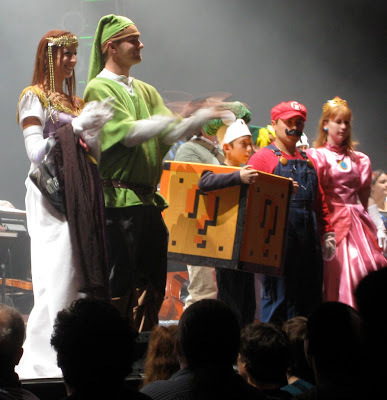 The show itself consisted of a live orchestra and choir performing memorable soundtracks from video games across the years. As expected, I'd never heard of most of them (Metal Gear Solid, God of War, Civilization IV...), and most of the titles I had heard of, I've still never played (World of Warcraft, Final Fantasy). But it really didn't matter. There was a huge screen above the stage that showed sequences from the games as the live music was performed, and it was nothing short of mesmerizing. They did, of course, have a few "old school" montages that satisfied the adults in the crowd -- remember OutRun? Joust? 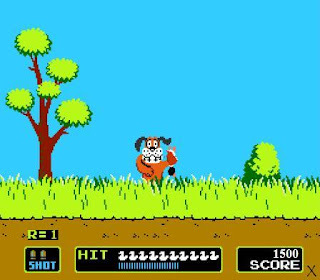 Duck Hunt? Punch-Out? Clips from all of them (among many others) kicked off the concert and I was instantly transported back in time, squealing with delight and clapping. I'm sure the teenage boys next to me thought, "Who is this old lady and why is she such a freak?" My favorite part of the show was the Super Mario montage, simply because those were the games I played the most growing up. It was absolutely amazing how the happy theme song from the Mario series came back to me within seconds. On top of the orchestra playing along with the video clips, they also had "the video game pianist" perform his world-famous lightning-quick medley. I found a clip online below of the same guy (Martin Leung) doing his thing for a smaller crowd (though it's not the most recognizable part of the Mario tune). He kicks it into overdrive around the 55-second mark. The video doesn't do him justice - it was ridiculous how fast he was playing. His fingers were just a flurry of motion, like he had superpowers or something! He is my new hero! 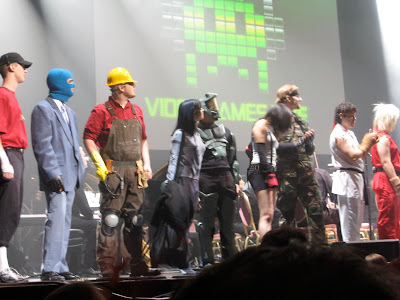 There were a few other cool surprises that the Video Games Live team had in store for the audience, but I won't ruin it for anyone out there who may be attending a future performance. What I will say is that I absolutely must haul out my old Atari and my brother's Nintendo when we're home over the holidays in order to play some of our favorite video games again. Forget all of the newfangled, realistic-looking Halos of the world - I'll take Pitfall any day! as much as i love super mario bro. and duck hunt... WHY DIDN'T YOU POST YET ABOUT TWILIGHT?!?!?!?!?!?!? I'm writing it up for redbox on Friday, sorry! I will be sure to post a link on Facebook when it's up... and I'll be seeing it again tomorrow night at the midnight show, too, so I wanted to write about that whole experience. I did post my high-level thoughts as a comment on my status from last night, though, so check my page on Facebook for that! hey if anyone is looking for some last minute tix to the boston show tonight make sure you check out this website http://www.broadwayoffers.com/broadwayOffers.aspx and use the code "VGLAAXIS” when you buy it to get like 20%~25% off the ticket prices. Curse You, Calculating Media Manipulators! Next Made Me Cry, "NEXT!!!"